When it comes to applying for a mortgage, it can seem like the impossible challenge to know what fees to expect or what they even mean! 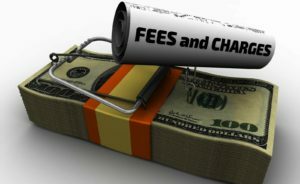 Below is a great post from AREA Title Agency, Inc. with some of the lesser-known fees you can expect to pay. There are many lenders who will offer you the option to lock-in a set interest rate for the duration of your mortgage. And while it may be an appealing rate at the time, as interest rates change you may find yourself paying more than the average. In this instances, if you want to break you locked in rate, you can expect there to be a fee involved. Similarly, there will also be times when you will see a competitor advertise a rate of offer a range of options which your current lender doesn’t provide. While there will be the option for you to transfer your remaining mortgage amount and payment to a new lender, your current lender is likely to charge a fee for the service. That’s right – a release fee! There are many lenders who will apply a fee to cover the administrative charges associated with discharging your mortgage. While this can seem like a fee for fee sake, there are numerous checks and balances which occur once you complete your mortgage and you can bet that your lender isn’t going to cover them. When it comes to due diligence, be sure to include title insurance in Toledo, OH. Available only prior to settlement, title insurance in Toledo, OH can help to protect your title and home ownership against any issues which may arise in the future.